Thank you for attending our Parking Solutions Forums in the San Francisco Bay Area in February 2010. Everyone in attendance seemed to enjoy themselves and all reported that it was a good learning experience. Please, check back for information on our next event. McCain's parking guidance solution is a combination of intelligent software and hardware that easily guides drivers to closest available parking structure and space. The system utilizes variable message signs strategically located along the roadside and freeways, parking guidance signs located at the entrance of the parking structure, aisle boards located on the levels, and LED bay sensors located in each parking stall. With this system installed parking structures are able to utilize every space in their structure through single space detection and accurate space counting. Utilizing every space in your parking facility is equivalent to adding a brand-new level to your parking structure. Click here to visit McCain, Inc.
We manufacture barriers designed to limit access to individual parking spaces. Since 2004, we have sold thousands of barriers in 40 countries, with installations ranging from 1 to 400 units. Our range of barriers combine superior construction and technology to meet every challenge and any budget. Our products are intended for the heavy duty environment of car parking. Our products are used to protect reserved parking spaces in commercial garages, office buildings, hospitals and condominiums, as well as parking control for on-street car-sharing, disabled drivers, private driveways and similar applications. Vigilant Video is dedicated to providing innovative technologies to both public and private security groups. Each day our company works rigorously to pioneer new methods of delivering valuable information to those who need it most. Our goal is to enhance security enforcement on all levels. We create software applications, coupled with unparalleled customer support, to maintain our position as an innovative leader in providing video content analysis solutions for each client. The PaperMill and Image Council Displays is a full service commercial printing company with 30 years of proven and dedicated service. While continually keeping up with the latest in technology, we never compromise our human interaction and exceptional customer service level. When you need us, there will always be a live person to help you! Regardless of your project's specifications, you can be assured that we will deliver what you ordered, when you need it! 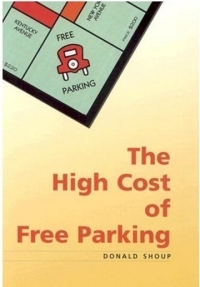 Donald C. Shoup has written the definitive study of the parking industry. Everyone involved in our industry should own and read this book and have another copy copy for others to read. The author has identified and committed to writing everything we should know and pass on to others about our industry. Don has spoken at a couple of our Forums and has given interesting and informative presentations each time. If you haven't heard his presentation, please do yourself a favor and read his book and attend one of our forums or an association program where he is a speaker. Infinilux is your Solid State Lighting expert and a recognized Cree Solutions Provider. We would welcome any opportunity to assist you with your standard or specialty lighting needs. Our vast knowledge and years of LED lighting experience will bring a unique perspective to your lighting projects. Give us a call or email us to discuss how Infinilux can help you meet your lighting goals. Mobile NOW! 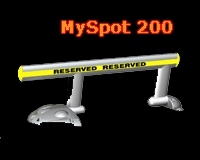 brings you one of the most most advanced platforms for digital permits in the world, ideal for cell phone and RFID parking, as well as other advanced payment options. 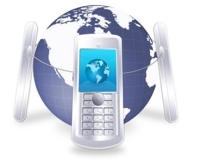 Using just a mobile phone, customers can access a world of possibilities. By sending a text message or making a phone call, customers can initiate or pay for a parking session, purchase a ticket for the bus, train, movies, or favorite sporting event, and access information about traffic and weather conditions, parking availability and much more. Intelligent Devices, Inc. is committed to providing a line of powerful and easy to use NTCIP products for the Intelligent Transportation Industry. Manufacturers, government agencies, integrators, and our partners have confidence in our ability to develop effective, proven NTCIP solutions. Rytec Corporation is the nation's leading manufacturer of high-performance doors for industrial, commercial, pharmaceutical and cold-storage environments. Whether they're rolling, folding, sliding or swinging doors, high-performance doors are our only business. Rytec corporate offices and manufacturing operations are headquartered in Jackson, Wisconsin, a suburb of Milwaukee. Customer support is provided through national and regional offices and a network of local dealers and installers throughout North America. Click here to visit Rytec Corp.
vCitePlus provides parking management with the fastest, most intuitive way to issue, track and resolve citations. vCitePlus is designed for public safety divisions of cities, universities, airports, state and federal organizations, and public and private transportation authorities. vCitePlus employs a full set of tools for both the officer on the street and the administrator in the office, including citation integrated photographic evidence and online appeals and payment processing. Parking has never been easier. Just park, phone and go! With Cashless Parking all you need is your mobile phone. Just park your car, make a short call to start your parking session and another to end it. Click here to visit Parkmobile North America, Inc. MOST IMPORTANTLY, WE ACHIEVE SUCCESS FOR OUR CLIENTS, WHICH IS WHY SO MANY RETURN TO US FOR THEIR COLLECTION NEEDS. Click here to visit Penn Credit Corp.
ConEdison Solutions, a leading energy services company, provides competitive power supply, renewable energy, sustainability services, and cost-effective energy solutions to regional and national customers. PGAL has assembled a team of diversified design professionals that have specialized expertise in planning, design, project implementation and program management. The firm's team of architects, interior architects, engineers and planners is able to assist clients to analyze their strategic plans and uncover their unique facilities planning issues. "PGAL is a leader in linking the facilities programming, planning and design process to an organization's culture, business plan and operations." "PGAL serves as facilitator, designer and planner..."
The future of lighting is LED!! Imagine the savings both environmentally and economically of converting street lighting, parking lots, parking garage lighting, parks and public facilities, municipal building exterior lighting, etc...the numbers are substantial! We are the only Expansion Control Company servicing the Bridge and Highway, Architectural, and Parking and Open Air structures markets, offering the broadest range of products and services in the construction industry. Our key to success is providing innovative, quality products and engineered solutions. RedBird LED is a company specializing in lighting sales, design, and consulting with LED lights (Light Emitting Diodes). We are the makers of premier LED light tubes and distributors of quality lighting products for municipal, industrial, commercial, and residential use. RedBird offers LED products that are 'best in class', through our commitment to quality and superior technology. Click on the "More..." below for archives.